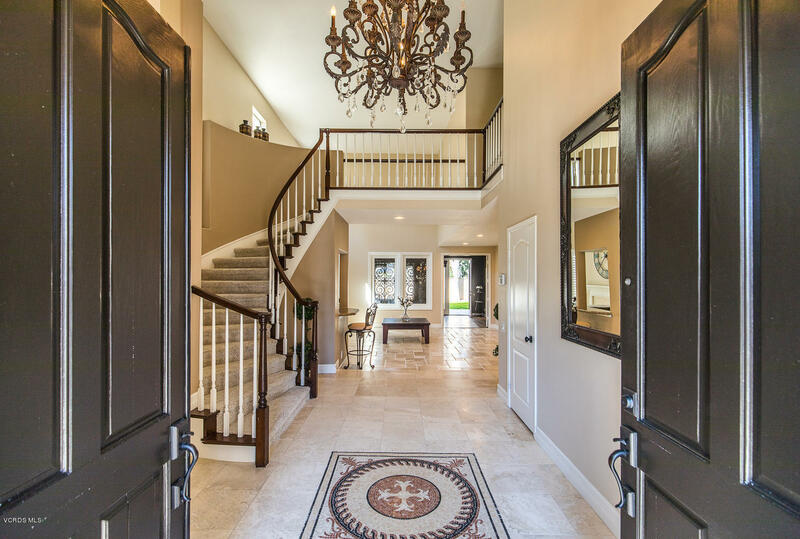 Experience the luxury of a Tuscany home close to everything that's great In Moorpark The kids can even walk to school. The homeowner has spared no expense in customizing this home for the discriminating buyer. Newer plantation shutters, a gourmet kitchen and top of the line air conditioning and heater unit will keep you cool this summer and keep you warm in the winter chills ! Fresh paint, brand new carpeting, gorgeous tile, premium travertine and upgraded flooring throughout will compliment all the other upgrades. The sellers also finished the garage with cabinet and granite counter tops .Gourmet kitchen has a Viking stove top and granite counter tops. Looking for a romantic evening this home features 3 fireplace includes one in the master bedroom. The welcoming backyard has stamped concrete, beautiful fountain and a gorgeous built in BBQ for those great lazy Sundays. The community pool is half a block away. By the way the HOA takes care of watering and maintain all common areas to include the from landscaping.